Hi Oliver, Excellent article. 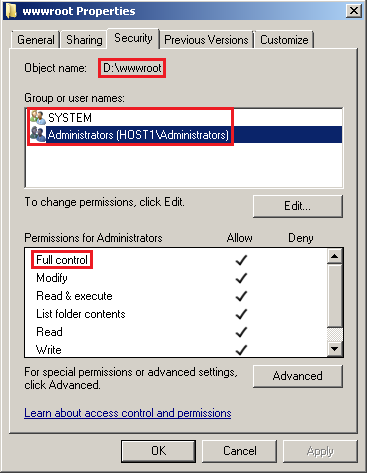 If all these content folders are locked down to “Administrators”, “application pool”, how can other user upload content. Any suggestions/best practices on how to upload content to these web sites? Thank you, Venkat. What it sounds like you want to do is give a user permission to modify web content. 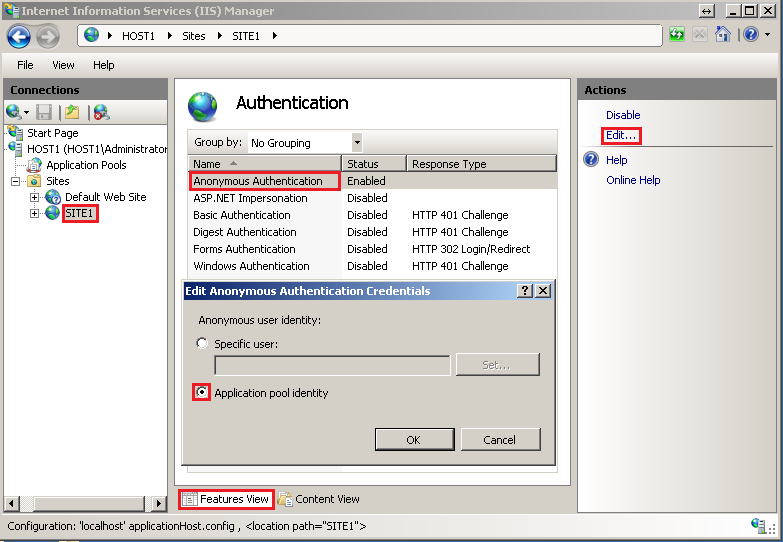 In that scenario, you would want to make sure Windows Authentication is installed and enabled in IIS. 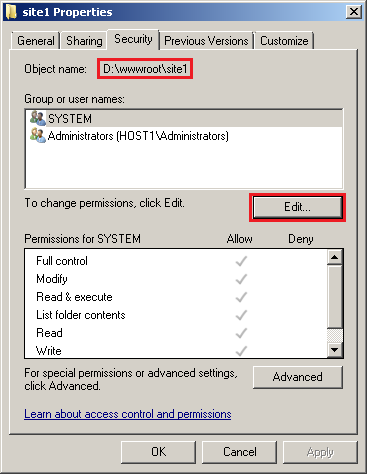 Best practices recommendation is to create a local user account and give that user account Modify permissions on the web content folders. 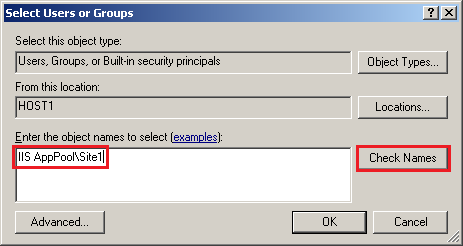 Kerberos authentication is always recommended where possible. Thanks Oliver, I will try it out. Hi Oliver, great article. I followed your article, my 2008r2 works ok now. 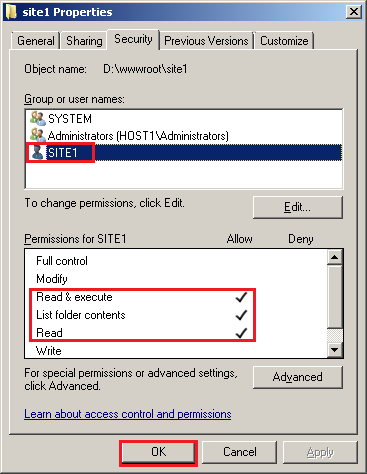 But I have another question, a shell in one of my site can not read other site’s content, but it can read system setting, such as groups and user, or download files from c:\windows. What should I do now, any suggestions? 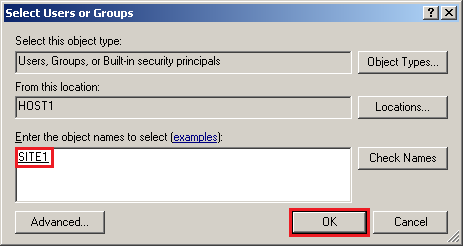 Your issue tends to happen particularly with .NET applications. 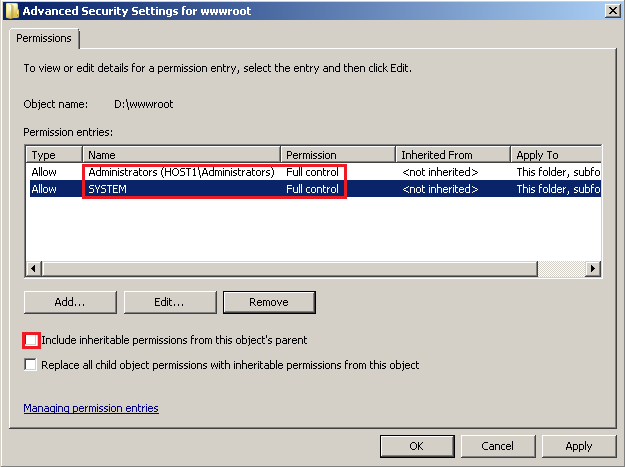 Verify the permissions of the .NET application and check the NTFS permissions of the folder structures you can access. 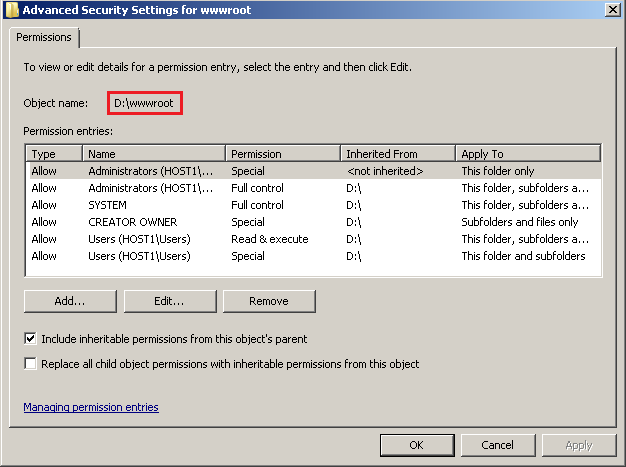 Lock down any folders that the application is not required to access. Thank you for the instructions !